Giveaway: Stand Out From the Crowd with Posh Life Bling! Celebrities Love It, So Will You! Three cases from Posh Life Bling. Courtesy of Posh Life Bling. This post is sponsored by Posh Life Bling. You’ve been trying to catch the eye of your cute co-worker for weeks. You know the two of you would hit it off, but you can’t seem to get his attention. One day during lunch at a nearby park, as you’re playing on your cell phone to give yourself a much-deserved break from your stressful day, he suddenly starts walking your way! You wonder what finally grabbed his attention…and then you notice the light reflecting off of your phone case from Posh Life Bling. Thanks to Posh Life Bling, you can accessorize your phone with a custom crystal case that will make it — and you! — hard to miss. Posh Life Bling was created for the girl who loves to shine and stand out in the crowd. They say the phone you carry is an extension of your personality, so why not make your phone a creative reflection of your uniqueness? Khloe Kardashian. Courtesy of Posh Life Bling. 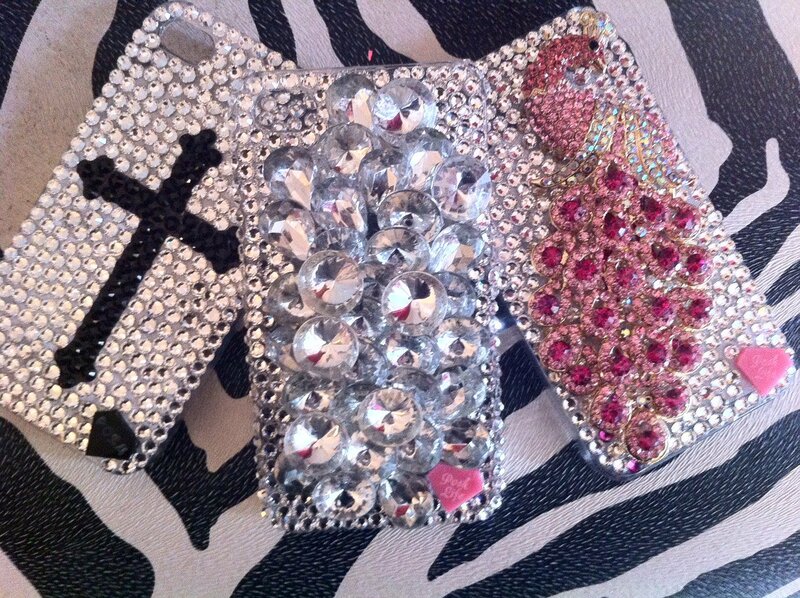 One CupidsPulse.com reader will get to choose one of the three fabulous designs for an iPhone 4 or 4s, as seen above: Tamra’s Cross, Lavish or Gretchen’s Peacock. With a custom case from Posh Life Bling, you’ll never have to worry about capturing your crush’s attention again. GIVEAWAY ALERT: To enter for a chance to win a Posh Life Bling case for your iPhone 4 or 4s, go to our Facebook page and click on the “like” button. Then, leave a comment under our Posh Life Bling giveaway post and let us know that you want to enter the contest. We will contact the winner via Facebook when the giveaway is over, and he or she will have three days to respond back with his or her contact information. The deadline to enter is 5:00 p.m. EST on Monday, December 10th. Good luck!